In our newest edition of The Minute Details series, we turn our attention to the legendary Rolex Daytona ref. 6263. 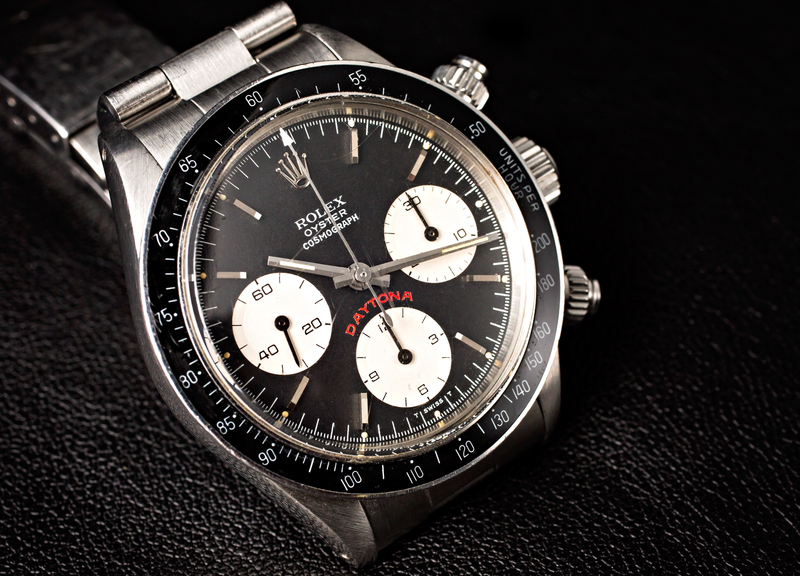 In the world of vintage Rolex collecting, vintage Daytona watches are in a league of their own. Vintage Daytona collectors are fervently passionate about these manual-wound Rolex chronographs and the interest in these particular timepieces goes well beyond watch enthusiasts to the general public. Let’s not forget that Phillip’s made global headlines in October after the sale of Paul Newman’s own Rolex Daytona ref. 6239 “Paul Newman” sold for $17.8 million—the most expensive wristwatch ever sold at auction. And just two years ago, Eric Clapton’s Rolex Daytona ref. 6263 “Albino” sold for whopping $1.4 million. Today, we take a look at one particular reference of the vintage Daytona family—and some say the most desirable one right now—the Daytona ref. 6263. Here are some popular and very valuable dial variations of the vintage Rolex Daytona ref. 6263. The Daytona 6263 is a vintage timepiece that many people love. But first, before we get into the dials, let’s quickly go over some general information about the Daytona ref. 6263. Produced from the late sixties/early seventies until about 1988, the Daytona ref. 6263 sports the second-generation screw-down chronograph pushers, which do a great job of keeping the water out. Additionally, signaling the water resistance of the Daytona ref. 6263 is the presence of the “Oyster” label on the dial. A distinguishing hallmark of the Daytona ref. 6263 is the black acrylic bezel with a tachymeter scale—its sibling reference, the Daytona ref. 6265, has a metal bezel instead. The Rolex Daytona 6263 was manufactured in stainless steel, 14k yellow gold, or 18k yellow gold. The watch runs on the famous Valjoux 727 hand-wound chronograph movement. During its more than 15-year production run, the ref. 6263 was made available with an assortment of dials. While there’s plenty of variety, the fundamental layout of the Cosmograph Daytona remains the same—trio of registers at 3, 6, and 9 o’clock, center hour, minute, and chronograph hands, and no date window. The Sigma dial includes two lowercase Greek Sigma letters (σ) flanking the “T SWISS MADE T” label positioned at the bottom part of the dial, under 6 o’clock. The Sigma symbols indicate the use of gold to create the hour markers—either white gold or yellow gold depending on the model. Sigma dials are found on several Rolex models from 1970 until the latter part of the decade, including the Daytona ref. 6263. While an easy detail to miss at first glance, dials with the small Sigma symbols are indeed coveted, therefore command a premium in the vintage market. 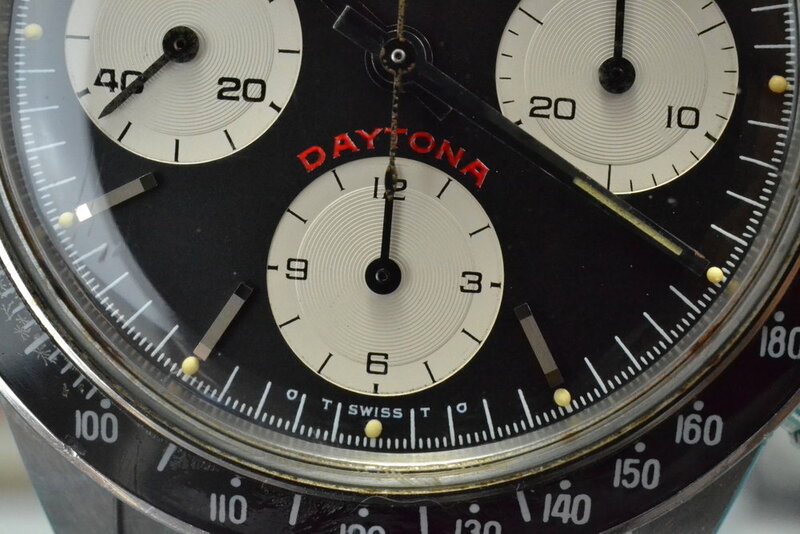 Stayed tuned for Part II of our in-depth look at the vintage Daytona ref. 6263 where we discuss the Red Daytona versions and the most famous dial variant of all, the Paul Newman versions.